Karen Ann Strunk of Indianapolis passed away Wednesday night at Community Hospital South in Indy at the age of 67. Born in 1941 in Bloomington to George and Mary Alice Edwards, Karen was a sales associate with Wal-Mart. She is survived by her husband Tom, sons Tom Jr., and Larry, daughters Jackie and Dawn, brothers Donnie, Jim, Danny and Mike, 11 grandchildren, and 2 great grandchildren. She is preceded in death by her father, brother David, and sister Diane. Services will be held Saturday afternoon at 2:00pm at the Elmwood Chapel of Day & Carter Mortuary with burial to follow at Springville Christian Cemetery. 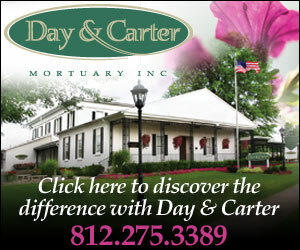 Visitation will be from 4:00 until 8:00pm today and again from 1:00 until time of service tomorrow at Day & Carter.